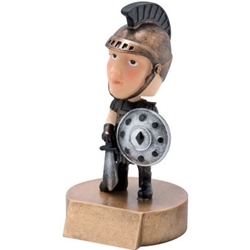 6" Spartan/Trojan Mascot Bobblehead Trophies. Show your team spirit. Made from resin.